Help your dryer work smarter! Flat Rate for Shipping is $4.00 per bagged set of 3 dryerballs, bag and coaster. 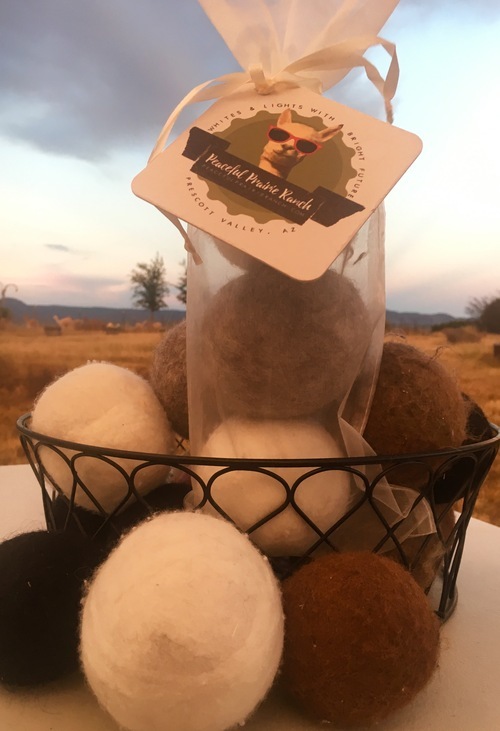 We've worked hard at creating a dryer ball that might just change our life! If not, it will surely make your dryer a lot happier at a minimum. 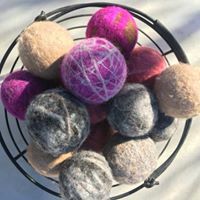 These dryerballs weight approximately 1.5-2.5oz each and come in a variety of natural and lightly dyed colors. Packaged up in sets of 3 inside a pretty organza bag, that ties at the top with a coaster featuring a very popular alpaca here - El Guapo! Instructions for use: remove dryerballs from bag and toss 3-5 Dryerballs into your dryer with laundry. Place a beverage of choice on coaster (included) and enjoy sounds of laundry being done with the help of your new dryerballs. 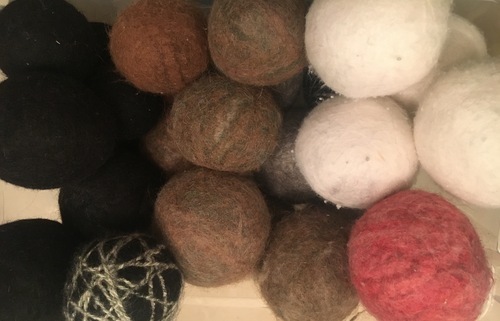 Dryerballs help fluff clothing to dry quicker and absorb moisture as well. Ordering Instructions: you will receive assorted colors unless you specify a preference of either: Light/White mix, medium natural color mix, black/dark colors mix or color dyed colors mix.